rchana Mane arrives at the center of turmoil in Port-au-Prince, Haiti four months after the massive earthquake in 2010. The blistering humid weather causes her scrubs to stick to her shaky body. Her eyes refuse to stay put as she assesses the damage and suffering before her. She stares and feels an overwhelming sense of helplessness, but snaps out of it a moment later. Her back straightens and with a surge of adrenaline she rushes over to the closest victim of the earth tremor and gets to work. A makeshift operating room is set up amidst the ruins and rubble of St. Francis Hospital. A foul odor fills the air and Mane recognizes it as dead bodies of the people who were crushed in the earthquake. After a week of attending to distraught and dismembered patients, Mane flies back home with a headache going on it’s third day, induced by the unbearable heat and smell. The woman with a rigidly straight posture and wildly curly hair and wide compassionate eyes that betray her stoic appearance insists on being called Archie. There is an immediate sense that she has lived a full life, which she is abundantly open about, all except her age and weight, something she seems determined to take with her to the grave. 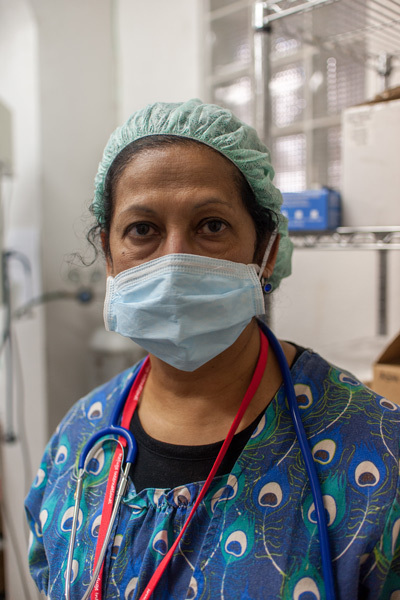 She is an anesthesiologist at Albany Medical Center in New York, who has been on four medical missions and has made her impression as an international woman. With trips to Haiti, Ecuador and Guatemala under her belt, she is a woman of the world set on offering her skills wherever she can. Archie was born and raised in Mumbai, India, where education and success are highly stressed even for the female population. Her parents were both English teachers and always emphasized a career in medicine, which she was attracted to from a young age. When her father moved her family to New York when she was 15, Archie received the traditional high school education. She was miserable. The culture shock was distressful and she only managed to make one friend. When her family moved back to India, she decided she wanted to become a physician at the age of 19. “I wanted to do something good for people,” Archie said. She attended Christian Medical College in Punjab, northern India, where her self-discipline and necessity for sleep were tested. Her life was uprooted once again when her family moved to Kingston, New York when her father became a Christian minister. That is where Archie completed her residency. When it came time for her to choose a specialty there was an endless amount of choices laid before her. She had flirted with pediatrics and neurosurgery was certainly enticing, but her ultimate decision was always a path that stemmed from her upbringing. Control and discipline are two of her most prized and admirable characteristics, and anesthesiology was a natural fit. “It is a career where you control things. In the operating room, you are the boss and you tell people what to do,” Archie said. It is a discipline that creeps into every part of surgery and its specialties: geriatrics, pediatrics, cardiothoracics, obstetrics—fields that she didn’t want to miss out on and hasn’t. Her thirst to have command over every aspect of medicine and her life led her to a moment where she found herself standing in Haiti. And she never stopped traveling. Archie said her drive to do international work is influenced from her dual life between India and the United States. She saw the deviation in terms of health care and wanted to do something about it. 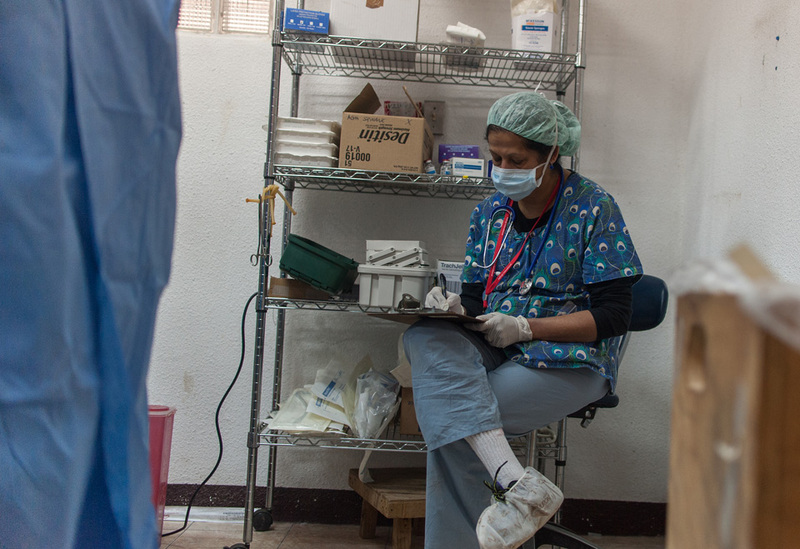 “I’m able to help these people who have no help, no money to get health care,” she said. After she completed a couple medical trips and told her stories, the residents at her hospital expressed an interest in joining her on the missions. She started an international outreach program at Albany Medical Center to give them the opportunity to learn. She hopes that they could learn from the experience because the healthcare culture differs greatly in under developed nations. Archie said the residents are extremely dependent on technology and don’t know how to function without it. She aims to teach them differently. “We have to use our senses, our eyes, intuition and clinical judgement on these patients,” she said. When she’s in the operating room of the San Raymundo clinic, with three surgeries going on simultaneously, Archie does exactly that. Before anesthetizing the patient, she assures them that all will turn out well, despite the language barrier. Depending on the surgery, she inserts a needle into the lower spine with gentle and confident prowess. Once the procedure starts she does not lose focus and stays attentive to the unconscious patient, monitoring their heart rate and oxygen levels. No matter how long the surgery takes, Archie stays until the end to lift the patients out of their anesthesia slumber.